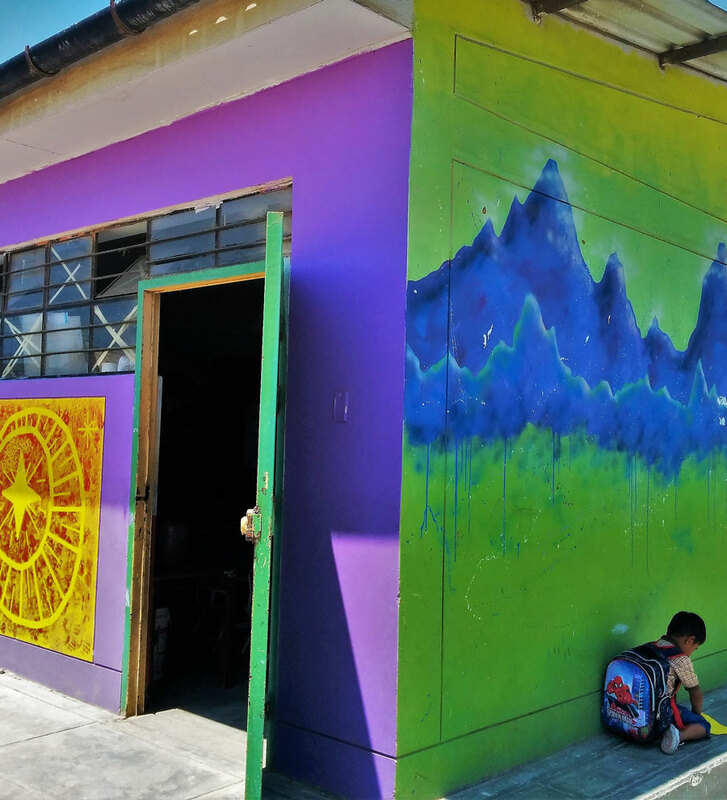 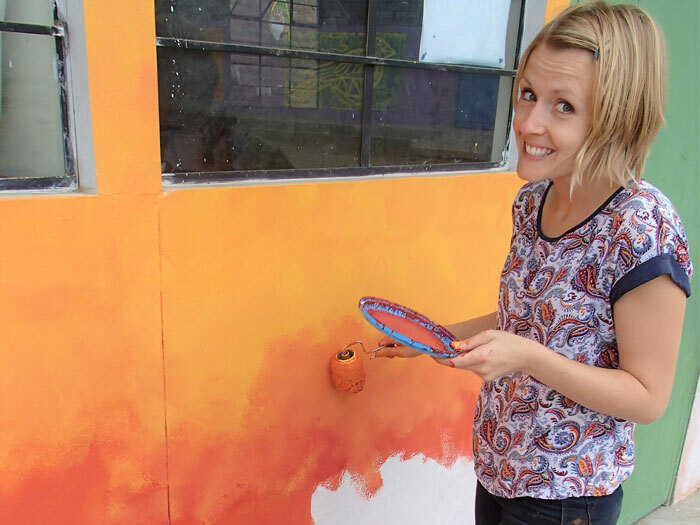 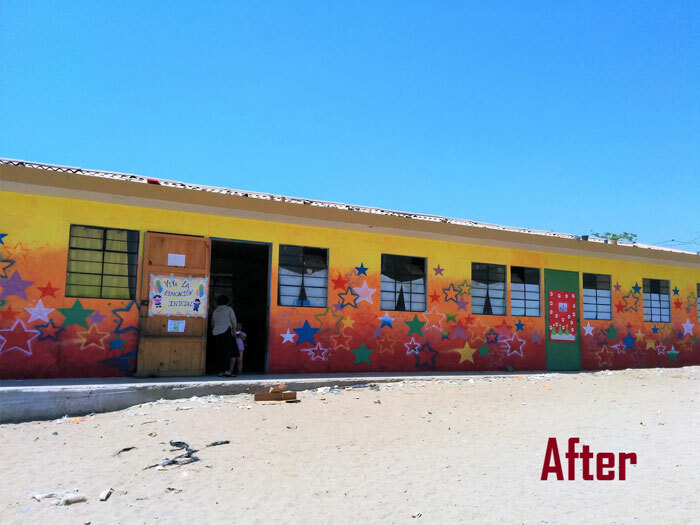 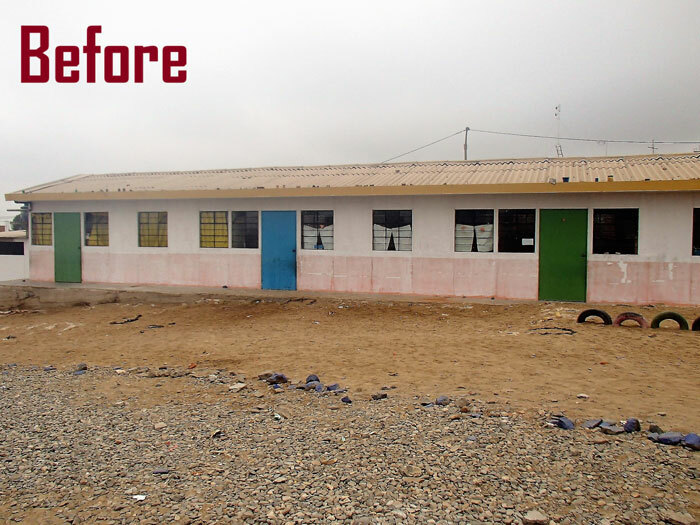 Our Art Projects turn the school buildings into a vibrant praise of Peruvian culture. 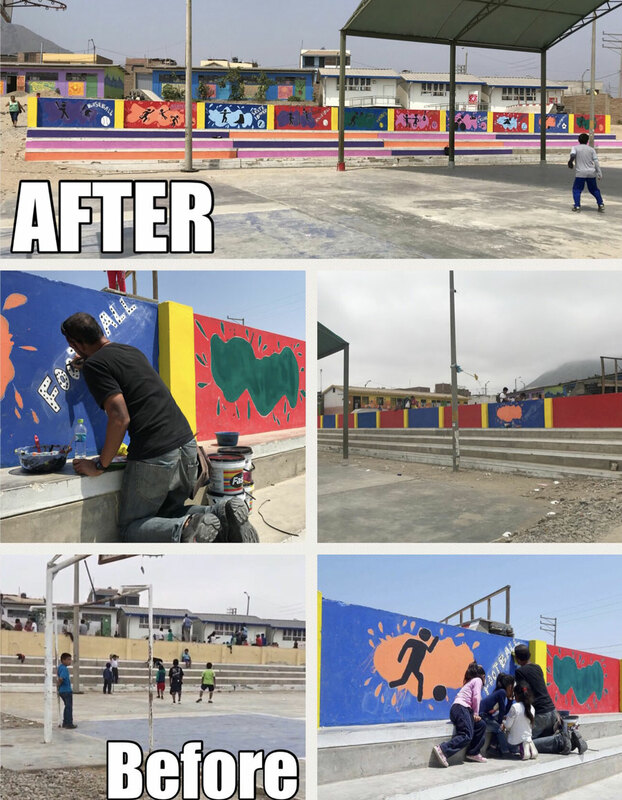 Our latest works include 3 large murals that promote the Moche culture, a giant World Map that illustrates the motto of our After-School Program – "Different but Equal" – and an 80-foot long Sports mural around the playground that celebrates the positive values of the kids' favorite sports. 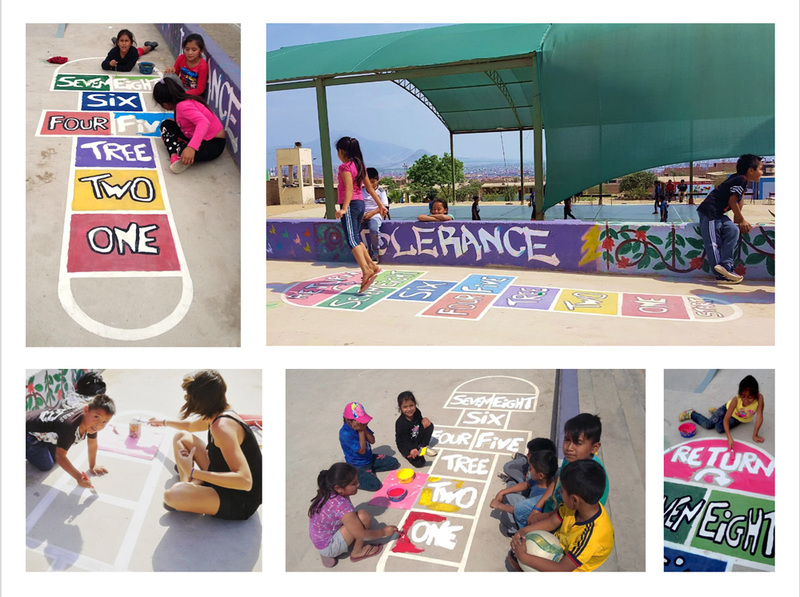 We always enlist the help of the children. 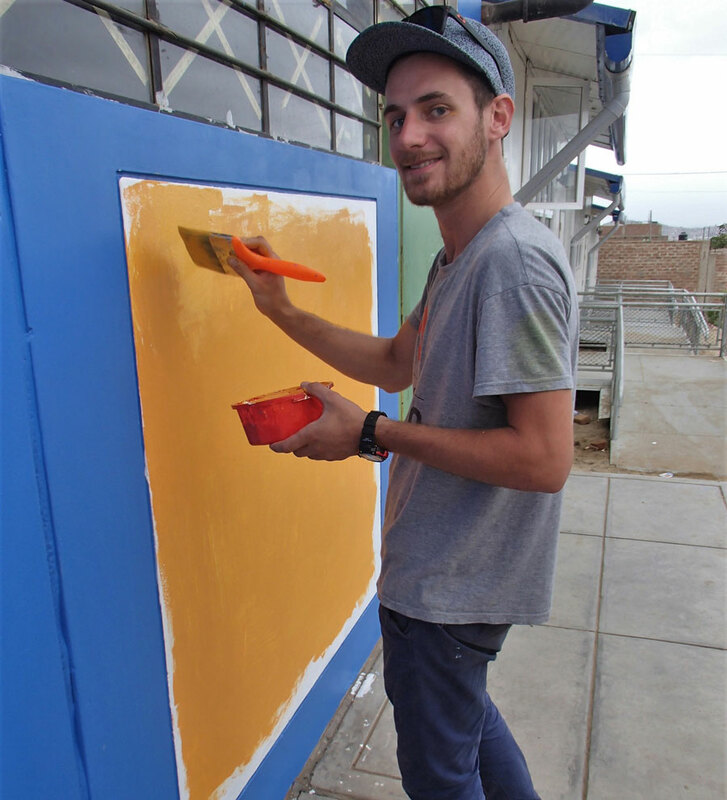 Their input is crucial to our collaborative projects: from the original idea to the final touches. 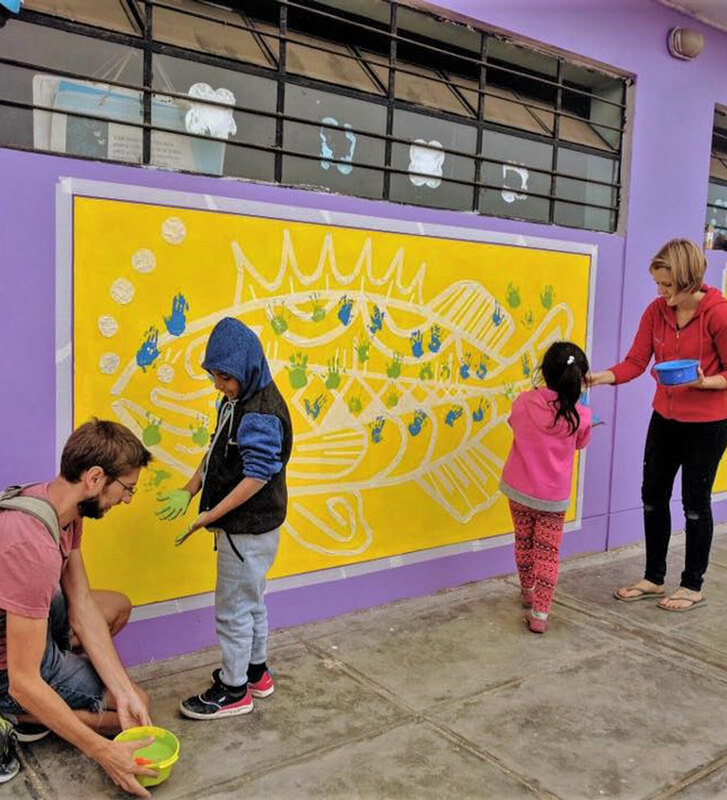 Our collaborative art promotes a positive attitude towards one another and the subject matter itself – for example, the school environment or Peruvian culture. 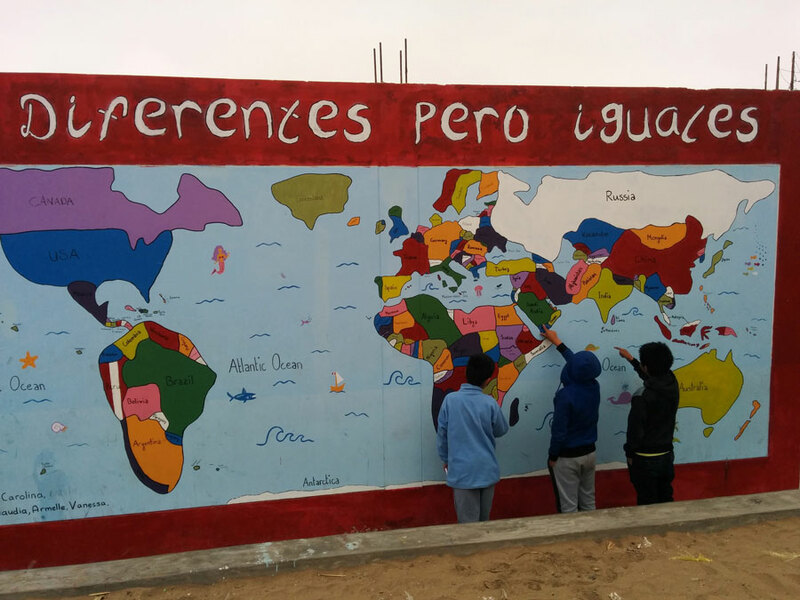 This cooperative art work has positive effects on students' relationships, motivation and their willingness to respect their surroundings.